Trace Cyrus is an American singer, songwriter, guitarist, and drummer, best known for being the founder, vocalist and main guitarist of the pop rock band Metro Station he founded with Mason Musso in 2006. They quickly recruited the 3rd member, Blake Healy, as a synthesis, bassist, and keyboardist, while Mason became the lead singer and rhythm guitarist. They released their 1st song titled Seventeen Forever via their MySpace Music page, after which a drummer, Anthony Improgo, joined as well. After being discovered and signed by Columbia Records, Trace and his band released their debut album that was self-titled in September 2007, consisting of 2 singles initially – Kelsey and Control, after which the 3rd one was added in mid-2008, titled Shake It, and skyrocketed the band’s popularity. After touring across America with other bands, in March 2010, the band members had a dispute, and Trace and Mason put the band on an indefinite hiatus in order to pursue other projects. 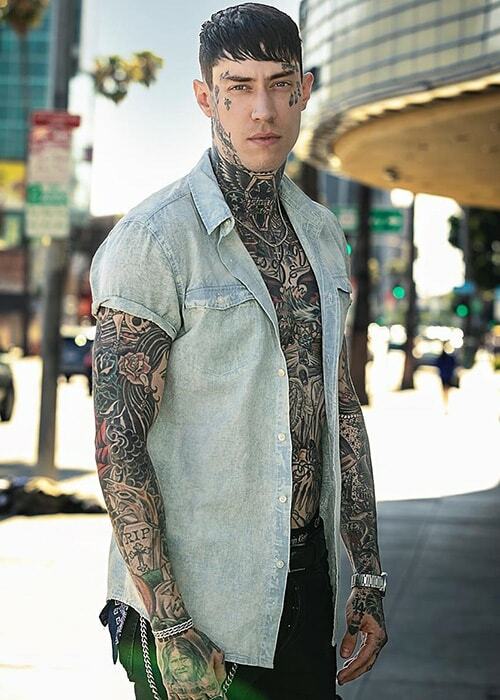 Trace Cyrus then formed a new band, primarily of pop genre, and called Ashland HIGH and once again decided to play guitar and be the vocalist. Between 2010 and 2013, he released demos for songs Break it Down, French Kiss, and Pretty Girls on the band’s MySpace page. From 2013 to 2014, Ashland HIGH released 2 albums titled Geronimo and Drugstore Cowboy, but in August 2014, Trace rejoined Metro Station. Metro Station first released a single Love & War after he came back, after which he took part in their 2nd studio album – Savior, released independently on June 30, 2015, consisting of 18 songs. After numerous tours, the band officially broke up in 2017. Cyrus attended La Cañada High School in La Cañada Flintridge, California, United States, but dropped out in 2006. Hannah Beth (2005-2008) – Trace was in a long-term relationship with the American socialite Hannah Beth for 3 years. Amor Hilton (2005) – He had a brief encounter with the lingerie model Amor Hilton in May 2005. Demi Lovato (2009) – Trace dated the well known American singer and songwriter Demi Lovato for a little more than 6 months, from April to October of 2009, even though some sources said they broke it off as early as July 22, 2009. The reason behind the break-up was main mainly because of time constraints due to busy schedules they both had. Brenda Song (2010-2012; 2013-2017) – The pair got together in May 2010 and dated for a year and a half until October 14, 2011, when Trace announced he and the American actress were engaged. A few months later, in June 2012, the couple announced they broke up, but got back together in January 2013. However, they broke up once again in 2017. 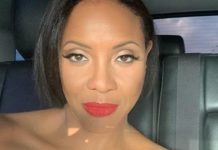 Taylor Lauren Sanders (2018-Present) – Trace started dating the socialite, model, and pole dancer in January 2018, and the pair got engaged in December 2018. 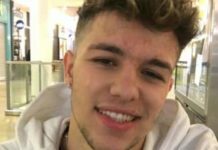 Trace and Taylor have recorded multiple songs together for YouTube and announced they planned to further their music career as a duet. They have yet to announce their marriage plans as of March 2019. He is of English, Welsh, Irish, and American descent. Trace has endorsed 2 of his own clothing line brands – From Backseats to Bedrooms (2016) and Southern Made Hollywood Paid (May 2017). He also created “stay gold” tattoo designs for the PETA’s Ink Not Mink anti-fur campaign in 2012 and tattooed one of them on his knuckles. As part of the American pop rock and emo-pop band Metro Station, where he was a guitarist and a vocalist, Trace released their debut studio album that was self-titled – Metro Station, in September 2007. It consisted of only 2 singles – Control and Kelsey, but both failed to chart. In the middle of 2008, their 3rd single was released, titled Shake It, that peaked at the 3rd spot of Hot Digital Songs list, 10th spot on Billboard Hot 100, and 9th spot on the Pop 100 chart. In late 2008, the album reached the 1st spot on Top Electronics Albums list and 2nd spot on the Top Heatseekers chart. 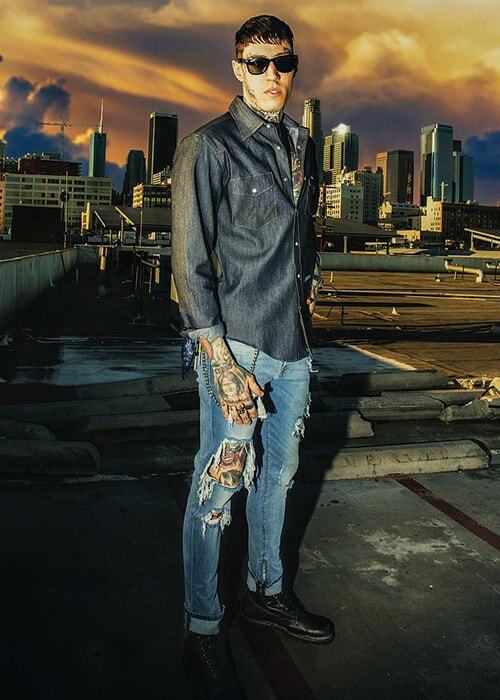 Trace Cyrus made his first feature film appearance as Mack in a romantic movie Already Lucky in 2018. 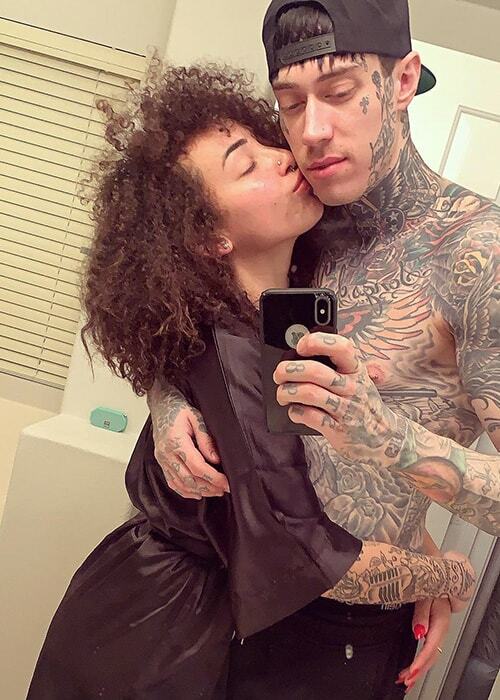 Trace Cyrus made his first TV show appearance as himself in an episode of Entertainment Tonight in 2008. While Trace hasn’t shared an exact workout routine he uses, he definitely goes to the gym, and judging from the dominance of his pectoralis and deltoids, Trace does a lot of bench-pressing, push-ups or chest flyes. He definitely has good genetics when it comes to his tall, slim physique but also uses diet to his advantage. He does let loose from time to time, as Trace has been seen smoking tobacco or weed and drinking alcohol. Trace’s parents divorced when he was 4, and after his mother got re-married to Billy Ray Cyrus, he legally changed his name from Neil Timothy Helson to Trace Dempsey Cyrus. He met his band member Mason Musso after their mothers set them up to play music together. Mason’s brother, Mitchel Musso, was an American actor that starred in Hannah Montana TV series (2006-2011) alongside Trace’s half-sister, Miley Cyrus, which is how it all started. Trace was featured on Miley Cyrus’s album Breakout (2008) on a song titled Hovering, and in 2010, on a song Alive by his father, Billy Ray Cyrus’s band Brother Clyde. 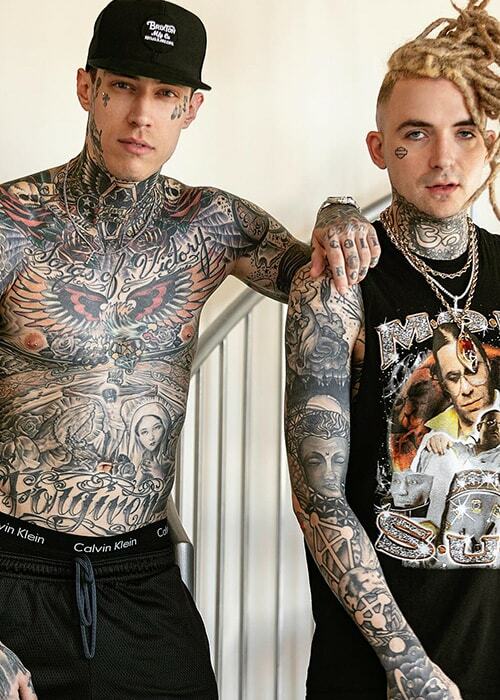 He has a massive tattoo across his back that reads “Southern Made” which was mostly a nod to his clothing line founded in 2017, but also to the Cherokee American genealogy his father, Billy Ray, and Miley Cyrus claimed they possessed. However, there was no concrete proof of whether that was true or not. After he came back to the Metro Station band on August 13, 2014, they released Love & War single, followed by a music video for a song She Likes Girls, and an EP titled Gold on October 14, 2014. Trace, as part of Metro Station band, first went on a Warped Tour in 2015 and performed at every date, and then released their 2nd album titled Savior on June 30, 2015, consisting of 18 songs, out of which was a single, Getting Over You, in collaboration with a well-known singer Ronnie Radke. The 3rd song from the album Metro Station they released in mid-2008, titled Shake It, ended up on being played in a movie The House Bunny (2008), starring Anna Faris, Colin Hanks, Emma Stone, Kat Dennings, Hugh Hefner, and Katharine McPhee and later on, TV shows such as Dancing with the Stars (2010, 2013), and 20 to 1 (2010-2011). He launched his solo career in 2017. In April 2017, he released his 1st solo single titled Lights Out, after which the 2nd one followed, titled Don’t Belong Together, released in May 2017. He has said that he really wanted to play a role of an older brother, and hate or bully Liam Hemsworth for dating his sister, but he couldn’t find anything to hate him for, as Liam was an awesome person. In mid-2018 he began releasing duet songs with his fiancée, Taylor Lauren Sanders, under the name Tay, via the SMHP Records label he founded. The most prominent was Give My Heart to You, released in August 2018, after which Red Rose Petals came out in January 2019, and a month later, in February 2019, Fame and the Money officially premiered.